I've discovered the secret to running faster! Would you like to know it? I'll share it with you! Yeah. After a decade of running, it turns out that the key to running faster is, well, running faster. I know I don't push myself hard enough when it comes to running. I like to run for the sake of running. I like to be outside and to break a sweat and to, well, run. But I'd like to run faster. Over the past couple of weeks I've discovered that I could run faster by just doing it. Yeah. For me, it's that simple. You see, I'm slow - but I'm also lazy. I've been reading too many race reports where people fought actual physical symptoms like wanting to vomit during their races. I don't have that. Instead, I have feelings like tired, whiny-tired, and I-really-want-to-stop-waaaah-whiny-tired. That no longer goes. I will push myself from now on. I will try harder. No more long walk breaks mid-run. No more holding onto the pace in my pace runs for a mile and pretending like that's something. No more making excuses to avoid speedwork ("but it's so pretty out! why stay at the track when I can run along a river"). There's a time and a place for an easy run, but that's not every day, week-in and week-out. Sometimes, the most obvious solution is the best solution. Tomorrow I'll show you how I put this into action. 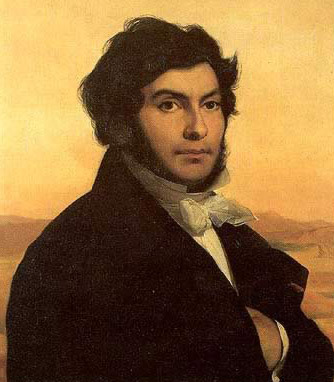 *For those of you non-Egyptophiles, "je tiens l'affaire" is what Jean-François Champollion said on 14 September 1822 when he discovered the missing key to the decipherment of hieroglyphs. The French Champollion was in a race against a Britisher, Thomas Young, to become the first to translate the ancient Egyptian language. The legend is that he stayed up all hours, for weeks on end, attempting to crack the code and to understand the language. When he finally put it together, he rushed into his brother's office, shouted, "Je tiens l'affaire!" (roughly, "I've got it!") and promptly passed out, spending the next several days in bed. 1) "if it isn't uncomfortable, you aren't working hard enough." While both statements sound very simple, I had never subscribed to them before. Now I do! Yup. Also, you get done faster, which is nice. Also, that Elizabeth Smart page is horriblamazing. Every year I rediscover Maddox and realize that I haven't seen several of the newest posts, and now I get to giggle at all of them. Woohoo! I probably shouldn't tell you that I totally disagree with this adage, but I'm glad you're having fun boosting the intensity a little. Tell me more, Mike. Do, actually - I trust your advice and I'm curious to hear your opinion. Here's my thing. For pretty much as long as I've been running, I've had two modes: speedwork, and normal. And I very, very, very rarely do speedwork. In theory, I absolutely, completely, and totally agree that there should be a place in one's training for runs of various speeds. But I've never learned to do that. So my race pace for basically anything more than a 5k is typically quite close to my training pace. I think the Seb Coe quote has held for me. I think I need to shake myself up and prove that I *can* run faster and learn to "feel" different paces. Seriously - it's very sad that I've been running as long as I have and I don't have that ability! I ran a 15k this weekend so I'll be talking about this a little more tomorrow. I agree with the proposition that one must run fast in training in order to race fast. But speedwork is such a very small component of training - the icing on the cake, as it were. The vast majority of training should be the slower (and longer) aerobic stuff. After 10-12 weeks of just logging miles, it only takes a handful of speedwork sessions to be in peak shape for a marathon. This is just my two cents. Lots of people have had success running nothing but intervals everyday. Ah, yes. I completely agree with you. My sister keeps telling me the exact same thing, too. I don't mean to advocate running fast every day by any means - I just think that I run way too slowly ordinarily. I think you underestimate my slowness. Thinking about effort exerted, I'm really really slow ordinarily. Like, slower than I need to be. You should come up to NYC and we'll go for a run together and you'll see exactly what I mean. I guess what I want is to a) learn to push myself, b) learn the feel of different paces, and c) nudge my everyday stuff slightly faster. I actually think that c is within my grasp w/o much effort. Then again, it's kind of all moot because I'm always searching for that magical several month period of consistency that seems to elude me. "...searching for that magical several month period of consistency that seems to elude me." THIS is why I think of you as my running twin. It eludes me, too.